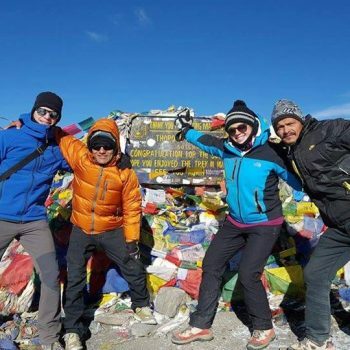 Annapurna Base Camp Trekking is two weeks package program to worlds’ 10th highest mountain’s base with the opportunity to surround oneself with major Himalayan peaks without having to contend with extreme altitudes. The trail goes northwest from Pokhara and along the Modi Khola directly north right into a natural amphitheater of high mountains with 360-degree views of Annapurna South (7219m), Annapurna III (7555m), Gangapurna (7454m) and machhapuchhre (6993m). With in short duration this trek provides an interesting variety of climates, vegetation and terrain – from lowland subtropical villages growing rice to alpine vegetation closer to the pass and into the sanctuary where access could be difficult in mid-winter because of snow. Those panoramic views of beautiful mountain attracts the traveler from all other the world! We take morning flight to Pokhara. This is scenic flight with mountain vistas in background. After reaching Pokhara, we drive about an hour and a half to reach either Tikhedhunga or Ulleri. We trail along the Modi River and Burungdi River to reach Tikhedhunga – a small charming village full of lodges. We can see beautiful view of Annapurna south and Fishtail Mountain. From here we climb down steeply about 900 m to the valley basin at Ghurjung River. Climb gradually along the mountain side to Chhomrong which is perched high up on the mountain ridge. It is a large Gurung village at the corridor of Annapurna Sanctuary.